My name is Nasser Alabdali. 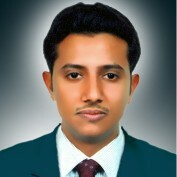 I'm 29 years old and holding the position of Office Manager in a pioneering travel company in Saudi Arabia. I had literature education and professional courses in adminstration, I love my job, and I'm so interested in creative wiritings, English poetry, and reading business books. I'm holding a BA degree in English Language & Translation; still looking forward to continue my higher studies in this literary field. I master good creative writing skills and editing as I have worked for a ME Magazine specialised in travel and tourism hot news. Hopefully, I will be so contributive to hubpages. I really like it.